Last week I attended a driver’s awareness course. This was because I got caught speeding and was given the choice to either have some points put on my licence or attend a one-day driver awareness course. The course was held in a local Hilton hotel in one of their conference rooms. The setup looked very familiar, a bit like an Internet marketing workshop! It was actually great fun, got to do a bit of public speaking!! and I got chatting to loads of people at the event. The course consisted of a PowerPoint presentation which was actually very well put together. And then group discussions about what had just been covered in the presentation. Each table had to have a spokesperson, at the end of each section that person would tell the rest of the group what conclusions their table had come up with. I stood up and walked to the front of the room and started presenting, a bit like I was at an Internet marketing event. I think this made the organisers of the event a little bit surprised. Then everybody else from the other tables felt like they had to do the same….. The organisers told me this is the first time that had ever happened. 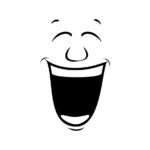 I did make everybody laugh at one point. At the end of the day they asked for 3 volunteers to stand up and explain how they were going to remember to stick to the speed limit. One of my answers was, I’ve ordered a brand-new self-driving car, and my car will not drive over the speed limit because it’s driving itself. Of course I was referring to my Tesla. Everybody thought this was hilarious, and the course organisers were a little taken back…. A couple of weeks ago I was at Ben Father’s workshop and got chatting to Neil Stafford. Neil explained how he was using direct mail to promote his webinars. I told Neil that I would definitely try his strategy out with my next webinar. So last week I decided to take the plunge and do my first ever piece of direct mail to promote a webinar. Now I say direct mail, what I am talking about is old-fashioned paper post, remember that??? Last Friday I put together a one page sales letter saved it as a word document and sent it over to a company which I found called Stannp. The letter, which is advertising my webinar, was sent out to a small segment of my UK list. This is really just a test to see how many webinar signups I can get from a piece of direct mail. This morning at 7am I had an email from one of my customers saying that he’d received my sales letter and he tried to go to the website address but it had not worked? I have to say was a bit baffled because I had tested the link and it was working the day before? 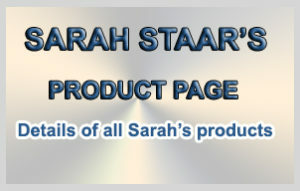 I had a quick look in my web browser and typed in the link sarahsystem .com and it was working fine. It turned out that I hadn’t done the domain name redirect correctly. If you typed in www in front of the domain name it did not work!!! After frantically messing around inside the Namecheap control panel I finally worked out what I had done wrong. You see Namecheap has recently changed the way it uses redirects and I wasn’t familiar with how things worked. Anyway it’s all working now it just goes to show that you need to check double check and triple check!!! I spent this afternoon in Chichester doing some shopping, I got home at about 3.30pm and noticed a problem with my Leadpages account. It turned out that one of my squeeze pages wasn’t working correctly, Leadpages actually informed me that it was a problem on their end!!! Lucky for me I’ve also got an account with Clickfunnels, I got Angela from my team to duplicate the pages which had problems inside Clickfunnels. Luckily we managed to do this all within 20 minutes. It just goes to show that having an outsourcing team to hand can sometimes get problems cleared up really quickly. Whatever you’ve got planned for Thursday…… cancel it! Have you ever asked yourself why is it that some people seem to have massive success with Internet marketing whilst others don’t. Have you ever tried to make money online and failed? Don’t worry it’s not your fault. Most people are using completely the wrong affiliate marketing strategies. This Thursday I want to set the record straight and show you, the missing link, promoting high ticket affiliate products. If you’re sick and tired of struggling with Internet marketing and you want to start seeing results within the next seven days then you need to attend this class. Whatever you’ve got planned for Thursday cancel it!! You will not be disappointed. Over the weekend I found a great new tool called stylifyme. You simply input a webpage URL and stylifyme will tell you the font and colours that are being used on that page. You know, we get so caught up in the hurly burly of life and all the latest hi-tech toys, all the new stuff. The new systems and processes. That sometimes we forget what life was like before. What was life like before the mobile phone ? What was life like before the smartphone even ? What was life like before Online banking ? Now this is not an argument for turning off the internet and all the advances in the last 40 years, but don’t you sometimes wish life wasn’t so complicated ? I mean life still went on quite happily without using mobile phones, and when we had real banks you visited to pay real money into. Don’t you sometimes think the tech we have is more complicated than it needs to be ? Like – do you remember vinyl and what it sounded like, compared to a CD ? Like – do you remember the first computers and how we all learnt to do Basic or C++ programming to make the damn things do anything ? But also how easy they were to upgrade, and how your games still worked after they had been upgraded ? The same can be true with Internet marketing, all the bright shiny new techniques and methods can seem very attractive. But when it comes down to it the traditional marketing methods are still the best. There are three steps to making money in most markets. communicating with your list and selling them stuff…. Take traffic for an example. One of my favourite free traffic techniques is forum marketing. This is something I learned back in 2008 and it is still incredibly relevant today. Set up a forum signature which links to your website, squeeze page or offer. Then you start answering people’s questions on the forum and become known as the resident expert. If you spend an hour a day answering people’s questions on the forum you won’t believe the amount of traffic which you can get. If you don’t know the answer to a question simply Google it….. By the way this is excellent task you can give to an outsourcer…. If you’re interested in more traffic techniques I posted the replay of the webinar I did last week with traffic expert Greg Cesar. This was a fascinating webinar where Greg detailed exactly where he gets his traffic from. An especially fascinating side of this was the section on YouTube paid adverts. I’m not talking about those annoying adverts that play before you watch a video, I’m talking about advertising alongside the video. The cool thing about this is, right now very few people are utilising this and as a result the adverts are incredibly cheap, $0.01 – $0.10 per click for example.. If you’re interested in getting free and paid traffic to your blog or affiliate offer then you need to see this webinar. I’ve decided to open up my coaching for a very limited time, in fact i only have two spots available. If you’re really serious about making a full-time living online and want to take things to the next level the click on the link below. Well, got to go now as I’m super busy packing boxes and organising the removal men…. Yes I’m moving house… I’ve decided to move out of London. I need a place where I can park the car properly and where I can see more than the house over the road. More about that in my next newsletter…….. I was eating my breakfast this morning watching the news which was all about the terrible flooding that is taking place right now in the UK. After breakfast I strolled down to my office and switched on my computer monitors and to my horror I noticed that one of my WordPress websites was not working. When I went to the domain name all I got was a white screen ! I could not even login to the WP admin section! What do you do when you have a problem like this? In the past I have hired an outsourcer to fix problems like this, but that takes time – like several days, and sometimes you need a problem fixed like now! So after much searching on Google I finally found the answer, and guess what ? I managed to fix the problem myself within half an hour. The problem was down to a conflict with a plug-in called “Tabbed Login Widget”, I managed to disable this plug-in and now my site is working fine. I recommend that you will bookmark this page as you may need it one day. These days everything seems to be moving online which is a good thing but sometimes it can also be a bad thing. Take my new car for example. The week I purchased my new Range Rover was the week that the DVLA (Driver and Vehicle Licensing Agency) decided to close down all its local branches and move everything online. Of course the government website was not up and running properly yet and was full of all sorts of bugs. So there I was standing in the showroom after handing over almost £40,000 and the dealer was telling me that I was not allowed to take my car away because it was not taxed and insured yet!! Basically there was a problem with the DVLA website and the dealer was not able to register any new cars as the DVLA website was down. So after getting myself ready to drive my new car away I had to go back home empty-handed. Later that day I did finally get a phone call from the dealer telling me that my car was ready but apparently there were loads of angry people at the dealership who could not drive their new cars away!! The same thing has now happened with my new personalised number plates. It used to be that when you purchase a new car if you had a new personalised number plate the dealer could just pop across the road to the local DVLA office and get all the paperwork sorted out there and then. It’s been three weeks now and I still don’t have my personalised number plates!!!! Sorry for the rant but something these things really annoy me….. So the move online has actually slowed things up and made things harder , not easier – you would think that someone would have sat down and thought that one through. thing is…… it’s free ! Whenever I have a problem with a website, in other words I want to do something that it can’t actually do, I just Google it and put on the end of my search query WordPress plug-in. The problem I had was I wanted to be able to display banners in the sidebar of my blog. That’s all fine, however I wanted to be able to control which pages certain banners were displayed on. Widget Context gives you control over any sidebar widget giving you control over which pages or categories the widget will be shown on. A great little free plug-in which I highly recommend. Just a quick reminder that The Kindle Cash Flow webinar replay will be taken down this Sunday if you haven’t had a chance to view it now is your chance. If you’re looking for a second income stream or just a really easy way to make some quick cash I can highly recommend you view this webinar. Next week look out for a new software product which I’m releasing to the public for the first time called Cookie Monster…. you’ve never seen anything like this before.